There are a lot of factors that go into a potential tenants decision on whether or not they’re going to rent your property. Ultimately, they’re looking for a property that works for them in the stage of life they’re in, fitting a certain criteria they already have in their minds. But there will be times that someone will come and check out your property, and despite it meeting all of their requirements, they’ll decide to go with a different option. There can be a few different reasons for this, but one big reason can be that for whatever reason, it wasn’t appealing enough to them when they came to look at it. Staging is when you bring in furnishings and decor to maximize the space in your unit, and make it look appealing to potential tenants. You generally want to pick furniture that will optimize the space; make small spaces look bigger, don’t overcrowd, and elevate the rooms. 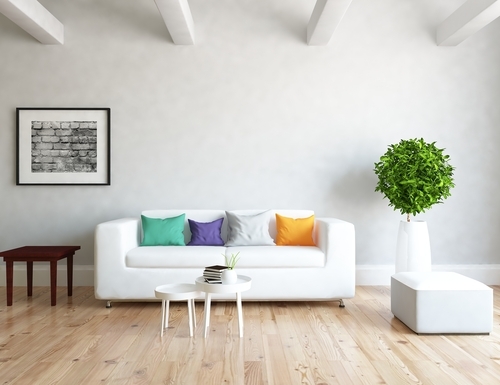 Cluttering a space will make it even less attractive to someone than having an empty space. You want them to walk into a room, and envision their own furniture there, living their own lives there. You don’t want the furniture to be the focal point of the room, you want them to focus on the room itself. The point of the furniture is to make the space look livable. You don’t want anything bulky or cluttered. Aside from minimal furniture in each room, making sure that there’s appropriate decoration in each room can be important, too. For example, you won’t necessarily have furniture in the kitchen, but that doesn’t mean you should leave it blank. A great way to liven up the kitchen is to add a few tasteful vases with minimalistic, fresh flowers in them. Set up a few decorative plates or signs on the counters. Again, don’t clutter the space, you simply don’t want them walking into an empty room.